Wie kann man das perfekte skandinavische Interieur in schwarz-weiß einrichten? 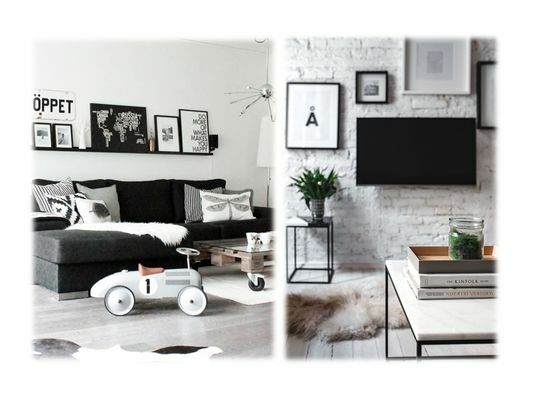 HOW TO RECREATE THE PERFECT SCANDINAVIAN BLACK & WHITE INTERIOR? 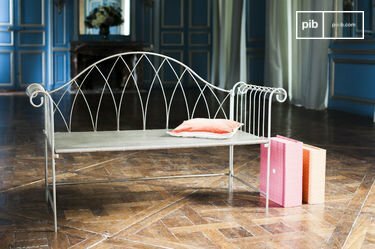 As every PIB team member knows well, recreating the perfect Scandinavian interior is not as simple as it might seem. 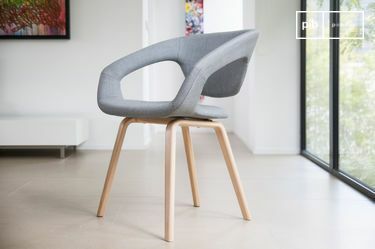 In fact, we are dealing with a challenge balancing between neutral tones and different materials that need you to take into consideration several elements at once, in order to obtain a unique result, full of character. 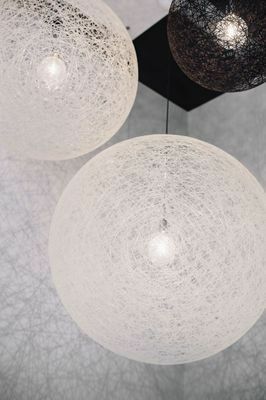 Less is more does not necessarily mean giving up the chance to add a personal touch to the whole room. 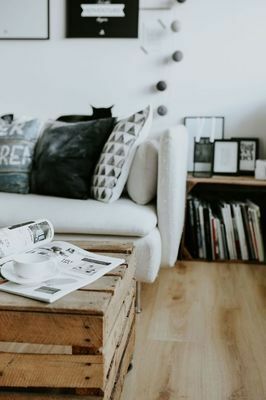 For this reason PIB invites you to discover together 5 tricks to obtain a modern living room focused on black & white tones. Dedicated to Nordic interior lovers, our suggestions will be useful both if you are starting your living room decoration project from scratch or if you are simply considering adopting this minimal style, focusing mainly on black & white tones. Are you ready to obtain sophisticated results? Black & white and Scandinavian design have been a pretty sweat deal for a while now, thanks to the intense effect given by the choice of the combination of these two colours. Nothing is better than the contrast between a dark wall, close to a black hue, with a white ceiling, frames and minimal furniture in light bright shades like a couch with white fabric, to obtain a successful result. Add an extra touch by choosing white painted wooden cupboards and bookcases and finish your interior with a huge black & white photographic print and matching metal wall lamps to light up the room. On the contrary, if you want to opt for white walls, think about adding contrast using to dark furniture and accessories. Like some of you might already know, the favourite materials of this decoration style that focuses on essential shapes are natural. 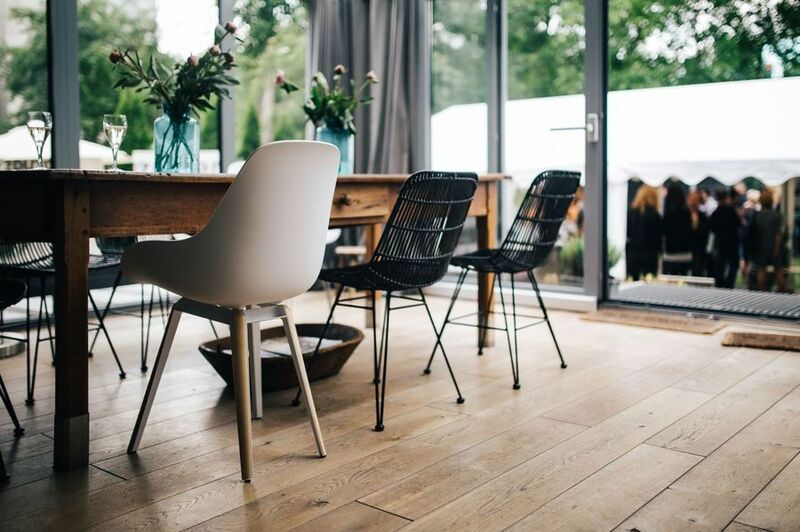 Moreover, Scandinavian interiors love neutral tones more than strong colours and patterns. 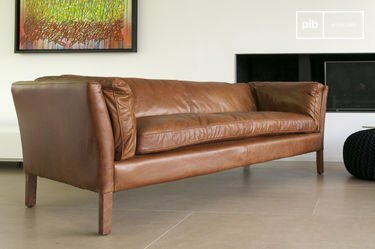 Nonetheless, PIB suggests you pick a different coffee table for your living room in order to add personality to the whole interior. Opt for a glass or metal coffee table, maybe choosing a model with a marble finish. It will be able to add some variation within the ambience and to catch the attention of your guests: do not forget to place some catalogues on it or to add a little plant to complete your interior design with a natural touch. 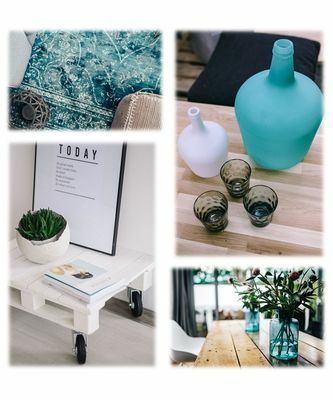 Modern and at the top of trends, turquoise has been a truly fashionable colour lately in the interior design world. Introduce some turquoise touches inside your modern living room, it will be the perfect trick to break the monotony of black and white, without giving up style. Think of some vases, some pillows, and a carpet or even of painting the wall behind the sleek and chic Scandinavian sofa in a dark shade of turquoise. As an alternative, you could introduce a hint of green to recreate the perfect natural ambience. Think of a plant with big leaves, like a small decorative banana tree, to place near your couch for a mineral touch, a choice that is very aligned with the Scandinavian spirit. Complete your interior with small vases of succulents, better if placed in original pots, like half spheres to be installed on a small coffee table. Lighting has always been a true friend of all interiors: a bright and shining living room quickly acquires a new personality. 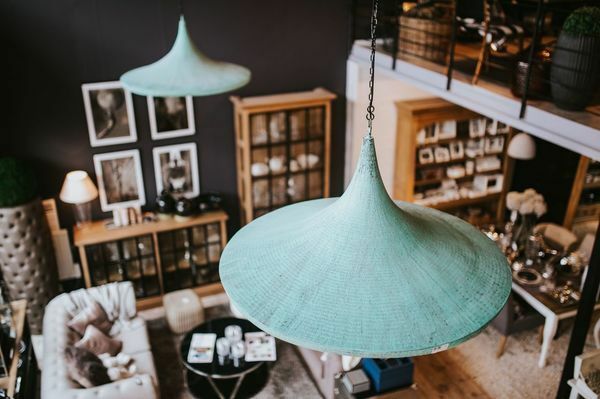 Focus on original ceiling lamps in monochromatic tones or on decorative filament bulbs that are able to completely change the rendering of the room thanks to the fact that they highlight the contrast between old and new very well. 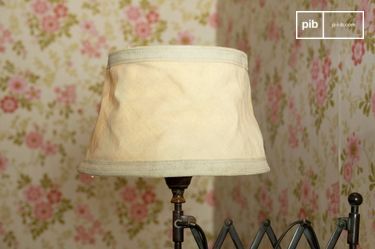 A central pending lamp made of white textile, for example, might be the perfect choice if you have opted for dark walls. 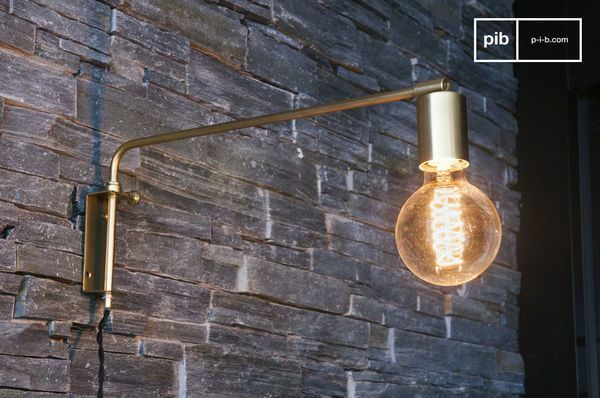 As an alternative, one or more wall lamps with metallic finish might be a great option to take into consideration, especially if matched with a vintage filament bulb. Last but not least, you should not forget to decorate your walls, both if you opted for white walls and if you chose a dark hue. Black and white prints collections and vintage photographs are an essential ally to complete your living room and obtain unique results: think of suspending a long cable on the wall and of hanging many black and white photos, for a result able to surprise also those who do not like the genre. Another modern option is to just lean several white frames on a light wooden shelf against a dark wall, in order to create contrast: in a second this choice will completely transform the look of the room. 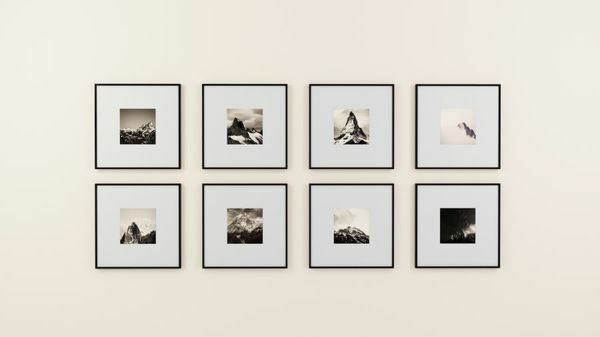 Big prints can also be placed on the floor or on a low surface and laid against the wall, without having to hang them. Do not forget to follow our social media pages and our newsletter to be updated on the latest trends concerning interior design! 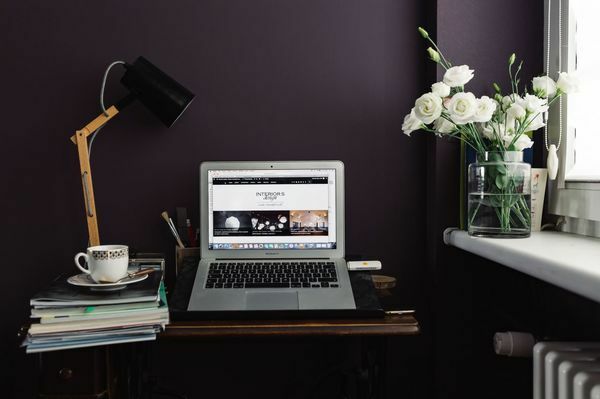 Share with us your black & white Scandinavian interiors featuring at least one PIB product, nothing makes us happier that helping you create the atmosphere of your dreams!